From a temple to another. A few days after the Solemnity of Christmas, the liturgy today makes us celebrate the Holy Family of Nazareth and we are invited to contemplate and imitate the life of the “earthly” family of Jesus. What do we see? The Gospel of St. Luke shows us that in this unique family not only the figure of the Son of God, the divine Person who assumes the full humanity of His creatures, the God with us, the Prince of Peace emerges. 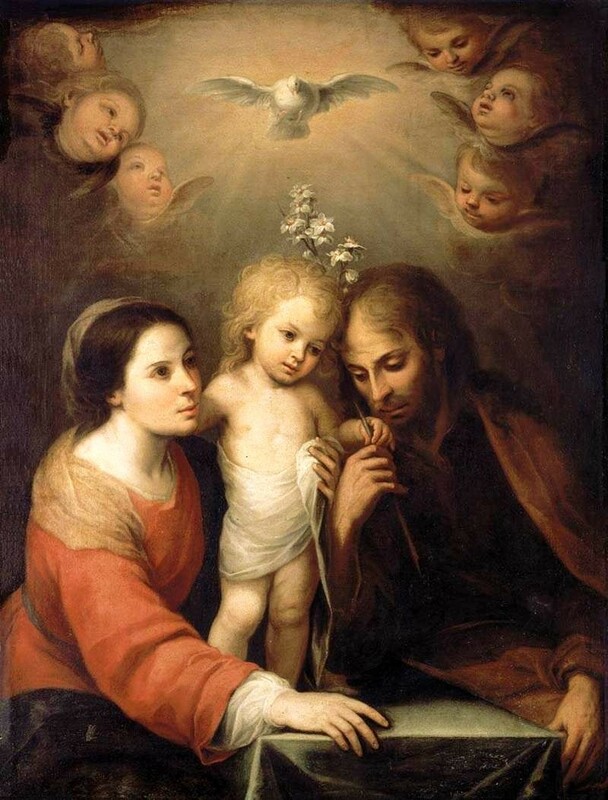 The evangelist highlights the Mother of Jesus, Mary, and Joseph, her husband, collaborator of the plan of salvation for men and “guardian of the Redemption” (Saint John Paul II). How can such a unique family be a model for our families? It is a family only apparently like all the others, but so unique that encourages us to think that it is inimitable: a Son who is God, a mother who is the Immaculate Virgin, and a father who is the wise person per excellence. Jesus, God made man, gives us an example of a son in a family that becomes a model for the families of all times and all places. Jesus did not rush to present himself as the Messiah. 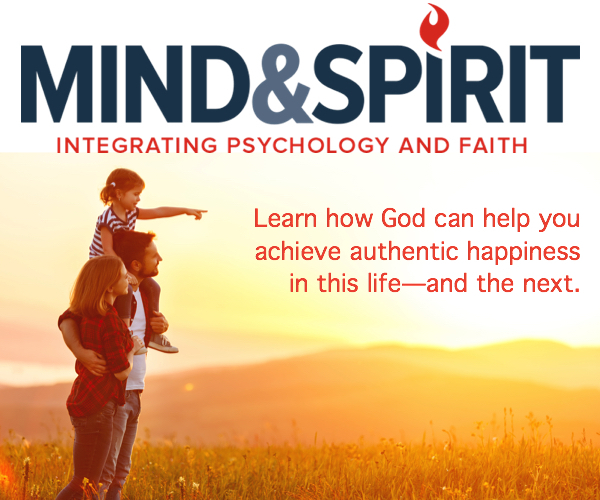 In a small town on the outskirts of the Roman Empire, in the seclusion of a simple family, this Son lived a normal life, growing in grace and spirit up to the moment when it was time to begin the mission that the Father had entrusted to him. It is a mission that led to his death and resurrection, making us from a people without a future to a people called to follow him in holiness and in the joy of the fullness of Life, now and forever. I think that, looking at the Holy Family of Jesus, Mary and Joseph, our families are encouraged to be more and more “small domestic churches” where God is present and where we learn to live, walking in the Light of the Gospel, the Good News, the only sure guide in a world that has lost the gaze on the Light of Heaven and sees only the lights of the Earth. To his parents who had been looking for him for three days, Jesus answers that they should have known that the path of his life was to do what is dear to his Father. He had stayed for three days in the temple of his Father, dealing precisely with the things of his Father (see Lk 2, 49). Then, because the Gospel is to be lived in everyday life, he goes back with Mary and Joseph to the daily life of Nazareth. He returns with his parents to Nazareth and he is obedient to them. He leaves the Temple for the “domestic temple”, where everything is organized for His divine presence and where his humanity grows in wisdom and grace. The Redeemer has left the teachers of the Law who taught in the Temple of Jerusalem, to be with Mary and Joseph who are masters of life in that special school that is their home in Nazareth. The Son of God learns from them the art of being a man. He looks at his mother Mary who is tenderly strong, but never passive. He looks at Joseph, the legal father of Jesus, for whom the putative father has, “thanks to a special gift from heaven, all that natural love, all that affectionate solicitude that a father’s heart can know” (a phrase of Pope Pius XII cited In Redemptoris Custos, 8). The Holy Family as school and real and not just ideal model of a family. It is a simple life that of Jesus, Mary and Joseph, who resembles very much our own. Mary is the mother, as our mothers, attentive and alert, but above all, as Immaculate and therefore all of God, educates her son to the true meaning of life, which is to carry out the mission that the Father had entrusted to him, sending him among us. The House of Nazareth was not a school only for Jesus, but it is for us, as taught by B. Pope Paul VI: “Nazareth is the school in which we begin to understand the life of Jesus. It is the school of the Gospel. Here we learn to observe, to listen, to meditate, and to penetrate the profound and mysterious meaning of that simple, humble, and lovely manifestation of the Son of God. And perhaps we learn almost imperceptibly to imitate Him. “(Homily in Nazareth – January 05, 1964). The Gospel of St. Luke tells us about the daily and holy life of Joseph and Mary who in their hesitation, in their questions, in their attitudes, in their weakness far from perfect and ideal, look like so many parents. At the same time they are the real and the original model of family, where virginity, marriage, and parenting coexist. To the Christian couples the Lord asks that, through their union, the twofold end of marriage is realized: the good of the spouses and the transmission of life. It is not possible to separate these two meanings or values of marriage, without altering the couple’s spiritual life and compromising the good of marriage and the future of the family. Christian couples are asked to live in marital chastity. In this regard, the Catechism of the Catholic Church teaches: “The actions within marriage by which the couple are united intimately and chastely are noble and worthy ones. Expressed in a manner which is truly human, these actions promote that mutual self-giving by which spouses enrich each other with a joyful and a ready will. “[ Gaudium et Spes, section 49]”. Virginity, though, strictly speaking, belongs to the consecrated and refers to eternity. But virginity is also constitutive of the original family, therefore there is an inseparable link between Christian couples and persons consecrated for the Kingdom of God and this link is the Holy Family of Nazareth. The consecrated Virgins in the world testify that virginity doesn’t mean to be without affections, even if it involves giving up a carnal family and physical relationship to be fully available to the task of a spiritual, but concrete fruitfulness to which the Lord has called them. Christ is at the heart of Christian marriage and the consecrated Virgins testify that, if all is given to Christ, life is really fruitful. Like the Virgin Mary, they preserve in their hearts a mystery greater than themselves and carry it into the world. St. Augustine keenly teaches that the importance of spiritual motherhood is not in conflict with carnal motherhood: “(the Church) imitates the mother of her husband, and her Lord. For the Church also is both a mother and a virgin. For whose virgin purity consult we for, if she is not a virgin? Or whose children address we, if she is not a mother? Mary bare the Head of This Body after the flesh, the Church bears the members of that Body after the Spirit. In both virginity hinders not fruitfulness: in both fruitfulness takes not away virginity. Wherefore, whereas the whole Church is holy both in body and spirit, and yet the whole is not virgin in body but in spirit; how much more holy is it in these members, wherein it is virgin both in body and spirit? It is written in the Gospel, of the mother and brethren of Christ, that is, His kindred after the flesh, that, when word had been brought to Him, and they were standing without, because they could not come to Him by reason of the crowd, He made answer, who is my mother? Or who are my brethren? And stretching forth His Hand over His disciples, He says, these are my brethren: and whosoever shall have done the will of my Father, that man is to me brother, and mother, and sister.”(De Virginitate, 2.2-3.3). The consecrated Virgins show that the example of Mary, Virgin, and Mother, is present and can be practiced even today. They are called to live a maternity of Grace. Mary has opened the way for all women who, after her, welcome the call of God to give their hearts to the Lord in virginity. Of course, not only women are called to the virginal life; it should be remembered that Christ has committed himself to it and has also committed his apostles too. However, the expression “to marry God”, is more appropriate to the woman. Christian virgins were considered, since ancient times, as brides of Christ. It can be said that they represent, in the most appropriate and most complete way, the quality of bride of Christ that is attributed to the church. This relationship of bride with Christ is embodied in the consecrated Virgins. CYRIL; The Evangelist having said before that the Child grew and waxed strong, verifies his own words when he relates, that Jesus with the holy Virgin went up to Jerusalem; as it is said, And when he was twelve years old, &c.
GREEK EX. His indication of wisdom did not exceed the measure of His age, but at the time that with us the powers of discernment are generally perfected, the wisdom of Christ shows itself. AMBROSE; Or the twelfth year was the commencement of our Lord’s disputation with the doctors, for this was the number of the Evangelists necessary to preach the faith. THEOPHYL; We may also say, that as by the seventh number, so also by the twelfth, (which consists of the parts of seven multiplied alternately by one another,) the universality and perfection of either things or times is signified, and therefore rightly from the number twelve, the glory of Christ takes its beginning, being that by which all places and times are to be filled. THEOPHYL; Now that the Lord came up every year to Jerusalem at the Passover, betokens His humility as a man, for it is, man’s duty to meet together to offer sacrifices to God, and conciliate Him with prayers. Accordingly, the Lord as man, did among men what God by angels commended c men to do. Hence it is said, According to the custom of the feast day. Let us follow then the journey of His mortal life, if we delight to behold the glory of His divine nature. GREEK EX. The feast having been celebrated, while the rest returned, Jesus secretly tarried behind. As it follows, And when they had fulfilled the days, as they returned, the child Jesus tarried behind in Jerusalem; and his parents knew not of it. It is said, When the days were accomplished, because the feast lasted seven days. But the reason of His tarrying behind in secret was, that His parents might not be a hindrance to His carrying on the discussion with the lawyers; or perhaps to avoid appearing to despise his parents by not obeying their commands. He remains therefore secretly, that he might neither be kept away nor be disobedient. ORIGEN; But we must not wonder that they are called His parents, seeing the one from her childbirth, the other from his knowledge of it, deserved the names of father and mother. THEOPHYL; But someone will ask, how was it that the Son of God, brought up by His parents with such care, could be left behind from forgetfulness? To which it is answered, that the custom of the children of Israel while assembling at Jerusalem on the feast days, or returning to their homes, was for the women and men to go separately, and the infants or children to go with either parent indiscriminately. And so both Mary and Joseph each thought in turn that the Child Jesus, whom they saw not with them, was returning with the other parent. Hence it follows, But they, supposing him to have been in the company, &c.
ORIGEN; But as when the Jews plotted against Him He escaped from the midst of them, and was not seen; so now it seems that the Child Jesus remained, and His parents knew not where He was. As it follows, And not finding him, they returned to Jerusalem seeking for him. GLOSS. They were on their way home, one day’s journey from Jerusalem; on the second day they seek for Him among their kinsfolk and acquaintance, and when they found Him not, they returned on the third day to Jerusalem, and there they found Him. As it follows, And it came to pass, after three days they found him. AMBROSE; After three days He is found in the temple, that it might be for a sign, that after three days of victorious suffering, He who was believed to be dead should rise again anti manifest Himself to our faith, seated in heaven with divine glory. GLOSS. Or because the advent of Christ, which was looked for by the Patriarchs before the Law, was not found, nor again, that which was sought for by prophets and just men under the Law, but that alone is found which is sought for by Gentiles under grace. ORIGEN; Because moreover, He was the Son of God, He is found in the midst of the doctors, enlightening and instructing them. But because He was a little child, He is found among them not teaching but asking questions, as it is said, Sitting in the midst of the doctors, hearing them, and asking them questions. And this He did as a duty of reverence, that He might set us an example of the proper behavior of children, though they be wise and learned, rather to hear their masters than teach them, and not to vaunt themselves with empty boasting. But He asked not that He might learn, but that asking He might instruct. For from the same source of learning is derived both the power of asking and answering wisely, as it follows, All who heard him were astonished at his wisdom. THEOPHYL; To show that He was a man, He humbly listened to the masters; but to prove that He was God, He divinely answered those who spoke. GREEK EX. He asks questions with reason, He listens M with wisdom, and answers with more wisdom, so as to cause astonishment. As it follows, And they who saw it were astonished. CHRYS. The Lord truly did no miracle in His childhood, yet this one fact St. Luke mentions, which made men look with wonder upon Him. THEOPHYL; For from His tongue there went forth divine wisdom, while His age exhibited man’s helplessness, and hence the Jews, amid the high things they hear and the lowly things they see, are perplexed with doubts and astonishment. But we can in no wise wonder, knowing the words of the Prophet, that thus unto us a Is Child is born, that He abides the mighty God. GREEK EX. But the ever-wonderful mother of God, moved by a mother’s feelings, as it w were with weeping makes her mournful inquiry, in everything like a mother, with confidence, humility, and affection. As it follows, And his mother said to him, Son, what have you done? ORIGEN; The holy Virgin knew that He was not the Son of Joseph, and yet calls her husband His father according to the belief of the Jews, who thought that He was conceived in the common way. Now to speak generally we may say, that the Holy Spirit honored Joseph by the name of father, because he brought up the Child Jesus; but more technically, that it might not seem superfluous in St. Luke, bringing down the genealogy from David to Joseph. But why sought they Him sorrowing? Was it that he might have perished or been lost? It could not be. For what should cause them to dread the loss of Him whom they knew to be the Lord? But as whenever you read the Scriptures you search out their meaning with pains, not that you suppose them to have erred or to contain anything incorrect, but that the truth which they have inherent in them you are anxious to find out; so they sought Jesus, lest perchance leaving them he should have returned to heaven, thither to descend v hen He would. He then who seeks Jesus must go about it not carelessly and idly, as many seek Him who never find Him, but with labor and sorrow. GLOSS. Or they feared lest Herod who sought Him in His infancy, now that He was advanced to boyhood might find an opportunity of putting Him to death.